Norman Wesley Radike, 58, of Hookstown (Greene Twp.) died Saturday evening, June 9, 2012, in the comfort of his home surrounded by family and friends. Born March 8, 1954, in Phoenix, Ariz., he was the son of the late Norman Wesley and Vera (Harwood) Radike. He was a veteran of the U.S. Army serving during the Vietnam War and was employed by the Bayer Corp. working as a machinist. Wes was a large part of the South Side School districts community. He loved motorcycles and music. Surviving are his wife of 26 years, Deborah E. (Price) Radike. The couple would have celebrated their 27th anniversary on June 29th. His children and their spouses are: Shari Lynn and her husband, Aarron Volk of Crescent; Norman Wesley Radike III of Hookstown; Steven Gary Radike of Hookstown and Ricky and Yalice Arcotta of NV; his sisters and their husbands, Susan C. and the late William Hull of N.M.; Sandi and Dave DesArmier of CA; his father-in-law and his mother-in-law, Morgan and Margaret Price of Oakdale; his sister-in-law and her husband, Carol and Bob Erath of IN; his brothers-in-law and their wives, Kenneth Price of Butler; Randall and Elaine Price of North Hills and Morgan and Karen Price of McDonald; Also surviving are numerous nieces, nephews and friends. 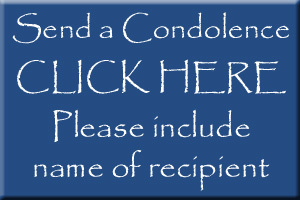 Friends are welcome to call at the McCONNELL FUNERAL HOME, 447 Pine Street, Hookstown, PA 15050, Daniel M. McConnell, Owner/Director, on Tuesday from 2 to 4 and 6 to 8 p.m. where his services will be held at 11 a.m. on Wednesday, June 13, 2012. the Rev. Tom Plunkett of the Beaver Assembly of God, officiating. Interment will follow in the Hopewell-Hebron Cemetery with military honors. Memorials, in his name, can be made to the South Side Athletic Organization.